Bedroom MAIA is therefore the best choice for a night setting highlighting the soft tones of the dark bluish and grey colours along with the elegance of the smooth and rounded lines. 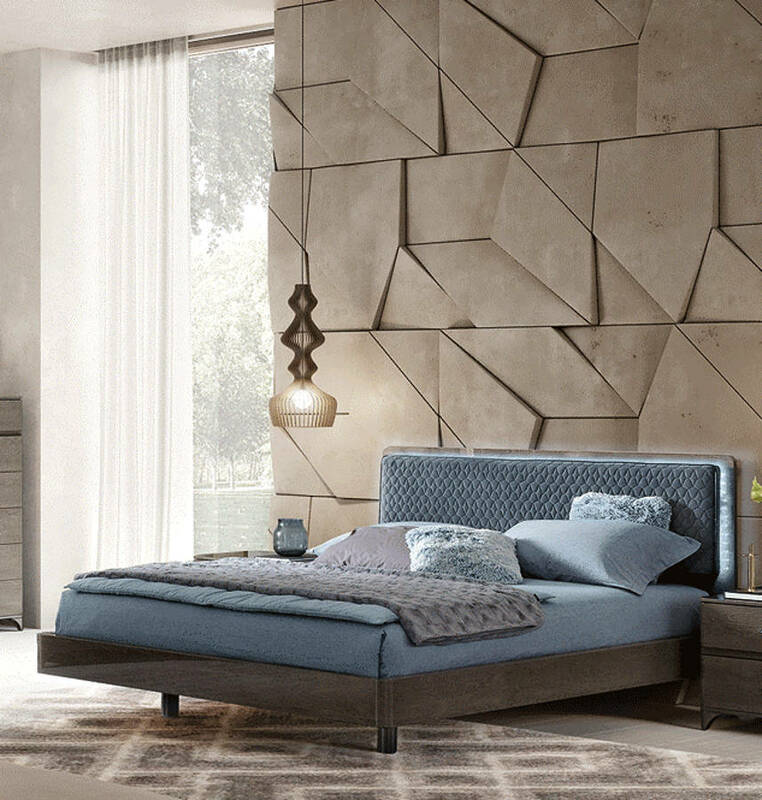 MAIA headboard with cell structure quilting and LED light along the back perimeter. Back panel in high gloss shining finish rounded on the sides.